So you started a blog and wrote a number of posts, but no one is reading it. Or perhaps it’s not growing or simply not growing fast! Trust me, no matter how big you are or how established you might be, growing a dedicated following is hard for EVERYONE! Here are 7 reasons why you might not be getting the traffic you desire and how you can fix it! 1. Your Content Isn’t Useful. Maybe your blog posts aren’t exactly boring, but could they use some tweaking? Ask yourself, “Am I really putting my best stuff out there? 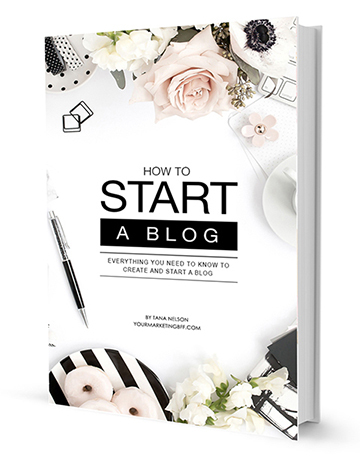 The number one rule of blogging is BE SO USEFUL THEY CAN’T IGNORE OR FORGET ABOUT YOU! Give out free advice, printables or worksheets. Write tutorials that are clear, organized, and easy to follow. Have something new and exciting that your target reader (or customer) will enjoy. Be you. -Is this post written for my ideal target reader or customer? Every post should have your ideal target person in mind. If you’re not sure who your ideal target is, I’d suggest our e-course: How To Identify Your Ideal Target Customer. Once you’ve completed this, you’ll know EXACTLY who you should be writing to! -What is the single takeaway from this blog post? To teach them something, inspire them, share or sell something, etc. -Is the title easy to search and related to what your post is about? Note: It’s important to identify specific blog posts your visitors like (and don’t like). Google Analytics is free and a great way to understand which content is most useful to your readers (aka popular, most read). If you write one great post and then go silent for two weeks, then write another post and go silent for a month, you’re not giving people the chance to form a strong relationship with you. They tend to forget about you and move on. You need to have a consistent blogging routine in order to grow your audience. For example, I tend to blog once a week, and it’s always on Tuesday! Note: An editorial calendar is a great way to plan ahead and maintain a consistent blogging schedule. 3. No Clear Site Focus. I get it. You have a lot of interests, but just because you have a lot of interests, doesn’t mean that ALL of those interests belong on your blog. When you create a site that focuses on a few topics that are relevant to your ideal target reader, you’ll grow a dedicated group of followers. I can already hear it… but I’m a lifestyle blogger! You can be a lifestyle blogger, just know it’s going to be harder for you. It’s extremely hard to grow your audience if each of your readers can only relate to a fraction of your posts. If your blog is focused enough, your readers should want to read almost every post! 4. Design. Lack of Branding. I hate to say this, but if you have an ugly blog not a lot of people stick around to see what’s going on! It’s also difficult to grow your audience if your site is cluttered, confusing, contains hard to read fonts, or lacks branding. People will take you seriously if you have a professional, easy navigating design. You have 3 seconds to make a good first impression. Does your site design match the impression you want to give your ideal target reader? Or are they coming for 3 seconds and then clicking away? I recommend creating a branding board to create a cohesive, strong brand that will help you keep on track and moving forward. 5. You’re Not Utilizing Social Media. Just because you have a blog doesn’t mean that anyone knows it’s there. YOU have to let people know about it! A great place to start is social media. You can interact (comment, engage) with other bloggers and brands to get your blog out there. Being active and engaged on social media has helped me grow my blog. 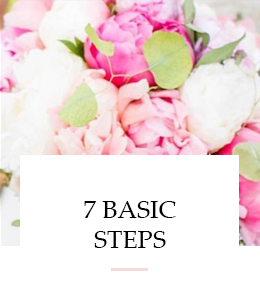 It provides an opportunity to meet your target audience where they already are and begin creating connections + conversations that can drive them to your blog posts. The keys: create conversations, share other people’s work as well as your own, and be consistent. 6. You Haven’t Given your Blog Enough Time. It’s EXTREMELY RARE that you start blogging and become a top-tier blogger. While some may look like they became a success overnight, that’s not typically the case. It takes time of honing in on the skills necessary to apply to your blog. As stated earlier, Google Analytics can help you evaluate useful blog posts, but you’re going to need 20+ to even get an idea of the types of posts your readers find useful. The more posts you have towards your ‘sampling’, the better. 7. Your Niche is Oversaturated. Getting noticed today is a lot harder than it was 5 years ago. The competition has gotten more and more fierce with so many blogs out there. For example, fashion bloggers have been over-saturated for years. With that said, a new fashion blogger can carve out room if they develop a different angle or become a strong voice, but it’s tough. When there are thousands of blogs out there doing the same thing, and saying the same thing, then you come onto the scene with the same thing, odds are it just won’t work. Be you. Be unique. Forge a different path and you can be heard in a crowded niche. 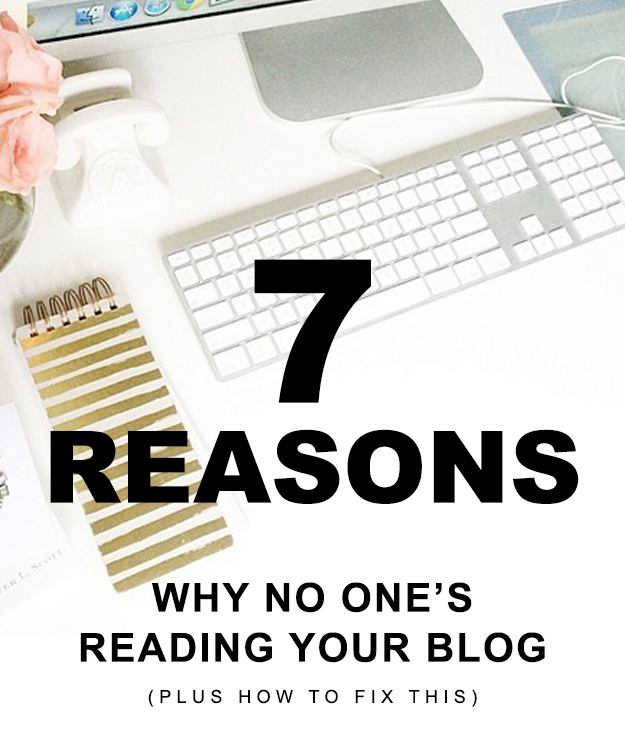 I hope you’ve learned some valuable tips by reading the 7 Reasons Why No One’s Reading Your Blog (Plus how to fix this). I want you to know that it’s okay if you’re not following each of these tips yet. And if you have a small number of readers, it’s okay, you can start implementing and start growing your blog starting today! Love this and 3 resonates big time! This is great Tana, I really enjoy your posts and they’re forcing me to really think about what I’m doing! So much to get done!! I’m so glad Tamara! We all can’t be experts at everything… I know I can learn a thing or two from you as well! Ahhh! #2 hit me right over the head! Such good tips and info. As always, love what I read here! I plan on emailing you when my kiddos go back to school Tuesday and I can hear myself think! ? #2 is oh-so-important because you need to give people the chance to form a strong relationship with you. They may really enjoy you, what you have to say and what you’re doing. It’s just REALITY of busy lives, we forget. Don’t let them forget about you!!! Glad you’ll be emailing me, I’m excited to chat with you! Great post as always. I love how your helping us stay focused on what important. As a girl who loves to fly by the seat of her pants and only do what’s fun or what calls to me, sometimes I need to come back down to earth and actually work. You can still fly by the seat of your pants (sometimes), but strategically thinking and planning will help you even more! More efficiency, less time, less stress… but it is fun to go by the seat of your pants at times! Don’t lose that!! !